There’s Still Time To Shop For A New Home In 2018! Reasons To Buy During The Holiday Season! Have you been dreaming of a new home in the Charlotte region this year? Why not beat the crowds in the malls and go house hunting on Black Friday and in December for that home you’re dreaming about instead? You could well be moved in and enjoying it in time for the holidays! 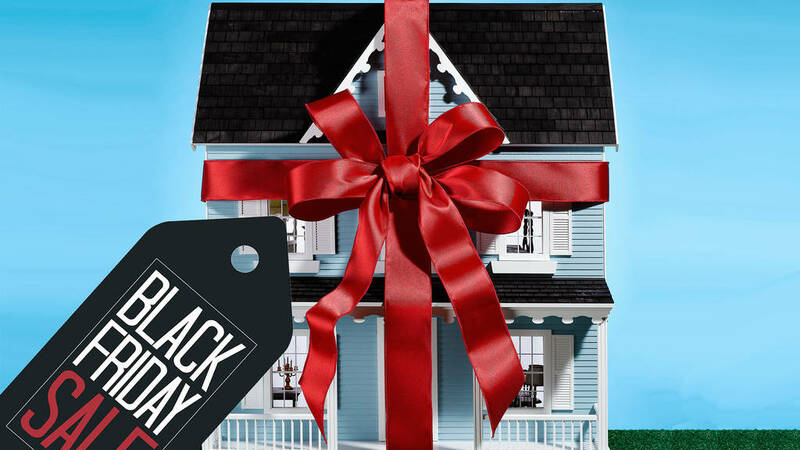 And you’re bound to find a few Black Friday “deals” on Charlotte area homes this weekend. In the past three days alone, 302 homes (about 3% of all the homes listed for sale) reduced their asking prices. In the past 30 days, some 1,000 homes dropped their asking prices. In the Charlotte area, you’ll find homes for sale priced from $9,900 to $3,750,000! And you’ll find homes in Charlotte, Mooresville, Clover, Lancaster, Indian Land, Rock Hill, Fort Mill, York, Lake Wylie, Monroe, Marshville, Huntersville, Mint Hill, Waxhaw, Matthews, Cramerton, Belmont, Cornelius… and the list goes on. According to MoneyTalkNews buying a home in December could save you 5-7% in a purchase price, on average. And most likely you’ll find less competition from other buyers, so less chance of bidding wars that have been driving prices up due to lack of inventory. According to BankRate, tenacious house hunters who buy a home in December compared with other times of the year will save the most money. A study by ATTOM Data Solutions showed that nationwide, December held seven of the top 10 days where buyers got the best price discounts on home purchases, making it the best month to buy a home. So if you’ve been thinking about buying a home in the Charlotte metro area this year, Black Friday, this Thanksgiving holiday weekend and the month of December could be the perfect time to do it. Just think how great it will be to avoid the crowds at the mall and also to “score” a great deal on a new home. Interest rates also dropped back a bit this past week, so it’s also a great time to take advantage of what are still historically low interest rates and lock in your housing costs for years to come. If you see something you like, contact Carolinas Realty Partners with Coldwell Banker and we’ll be happy to help you get started with you holiday shopping for a new home! Why fight the shopping crowds at the mall on Black Friday and during December? If you've been dreaming about a new home in time for the holidays, this weekend and December could be the perfect time to buy a home, "score" a deal, and lock in a low interest rate.